I graduated from the Columbia Graduate School of Journalism, Class of ’61, ten years after I graduated from Sarah Lawrence College, Class of ’51. My first job after graduation from Columbia was on a newspaper, The Bergen Record. I worked on the Women’s Page for six months before I became assistant to the editorial page editor, writing editorials and columns. I moved to public television two years later, producing, writing, and hosting a daily public affairs television series, and two years after that, after getting laid off, I took a job in commercial television, newswriting and reporting at NBC News. In 1968, I began producing and writing documentaries for WNBC-TV, the local station for five years—covering everything from poverty to education; from Woodstock to abortion; from death to women’s liberation. 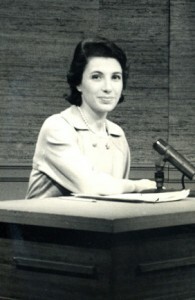 Later, I became a documentary producer, writer, and director for the network. In all, I worked twelve years for NBC. I returned to public television as executive producer of national public affairs in 1977. I worked with Bill Moyers as his executive producer for five of the ten years I worked in public television. 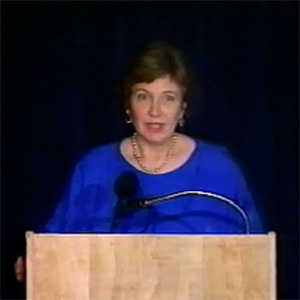 The rest of the time I was vice president and director of Metropolitan Programming for WNET/Thirteen. Closing the circle of my years in journalism, I was appointed dean of the Columbia J-School and professor of journalism in 1988, where I served for nine years as dean until 1997. 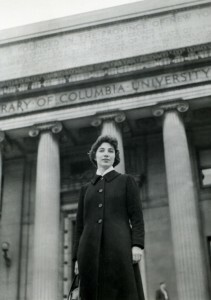 I was also publisher of the Columbia Journalism Review until 2000, and continued as a professor until 2006. I am now dean emerita and professor emerita of the Journalism School.